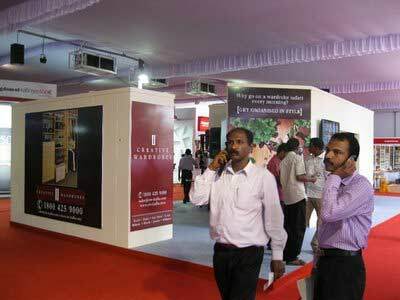 BACE Expo 2014 Kochi the 13th International Building, Architecture, Construction Engineering Products, Technology Tradeshow and Symposium exhibition is being organized at Jawaharlal Nehru Stadium Kochi from 10 May 2014 by ASK Trade & Exhibitions Pvt Ltd & Futurex Trade Fair and Events Pvt Ltd . The exhibition is a comprehensive Building & Construction products and technology trade-show for the building and construction industry professionals in the region. BACE Expo series is the meeting point for technology manufacturers / suppliers and cross section of Building & Construction sector professionals. Pace of activity in Building and Construction Industry happens at a rapid pace leaving little time for updation. BACE Expos have been conceived as a platform for showcasing, interaction, networking and understanding of the latest innovations and technological advancements. BACE Expos are a platform for the products & technology suppliers to the building and construction industry to showcase their latest offerings in a focused manner to the professionals with an opportunity to discuss, explain and demonstrate their new innovations in person.